4. "The Next World": What distracts Rick and Daryl right before they realize Jesus has stolen their truck? 5. 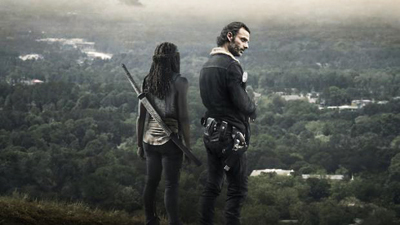 "The Next World": Who ultimately kills Walker Deanna? 7. "Knots Untie": In this episode, who first confronts Jesus in Rick's house? 8. "Knots Untie": What is the second part of Jesus's comment which is the source of the episode's title? 11. "Not Tomorrow Yet": Who breaks the nose on a walker head, after Jesus notes that the walker's nose is a different shape than Gregory? 12. "Not Tomorrow Yet": Who fights the man inside the compound that activates the alarm? 14. "The Same Boat": Carol's captor Paula relates a parable about different foodstuffs going into boiling water. Which of the below is not mentioned? 20. "Last Day on Earth": So, which of the following is not in the lineup kneeling in front of Negan at the end of the episode?